The decision to refinance a mortgage is not an easy one. Any mortgage is a large responsibility; one usually taken when financing is a priority in one’s life. This priority could become most important when the term of the first mortgage is over, or if more financing is needed at any time and for any reason. However, what many people might not realize is that obtaining mortgage financing, especially mortgage refinancing, comes with various potential regulatory and procedural challenges. Sometimes, it takes more than simply showing up at a bank and asking for more money. In other words, sometimes the services of a qualified real-estate lawyer are needed. 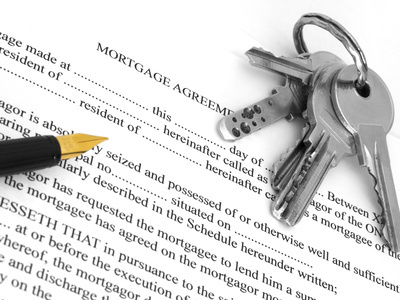 In fact, in certain situations, banks and mortgage lenders actually expect a real-estate lawyer to be involved. That’s because lenders sometimes need to make sure that the mortgage and property involved have been cleared by a qualified real-estate lawyer. This often involves the lawyer performing searches on the property title, as well as the first mortgage that was attached to it. There are various encumbrances to a title that could affect the property’s marketability. These encumbrances are legal hurdles that could affect the sale of the home, especially if a lender needs to seize the property upon default. Encumbrances to a marketable title include liens, an unknown previous mortgage, rights of others to use the property, and certificates of pending litigation. These and other factors could affect the status of the property upon which a mortgage refinancing is based, so a mortgage lender needs these checked out by a thorough real-estate lawyer. There are many reasons why a mortgage refinancing might be the right decision. In addition, the options for refinancing available today, including from private mortgage lenders, are more numerous than ever. A qualified real-estate lawyer can, in the long run, avoid you avoid future legal complications, and ensure proper refinancing. In the end, that can save you money, as well as stabilize your financial future.